For a fourth straight day, non-emergency federal employees will be off Thursday, as federal agencies in the D.C. area will be closed again. Non-emergency employees will get excused absence for the number of hours they were scheduled to work Thursday. That includes employees already on pre-approved leave but does not include employees on leave without pay; leave without pay for military duty, workers' compensation or suspension; or another non-pay status. Emergency employees are expected to report for work as scheduled. Telecommuters are rewarded for their tech savvy by being expected to work from their telecommuting locations. Alternative work schedule employees not scheduled to work Thursday are not entitled another day off. 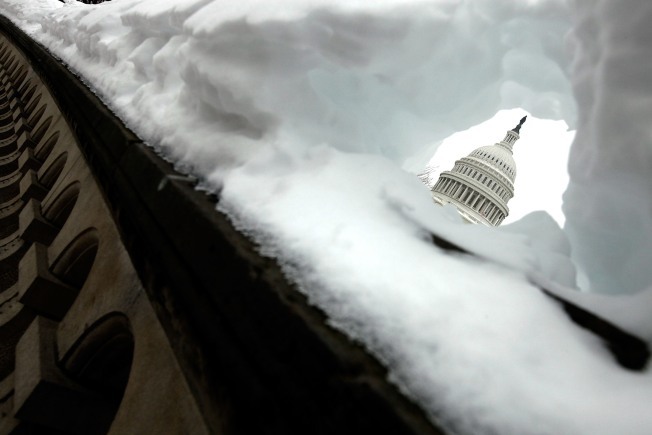 Send Your Snow Pix to isee@nbcwashington.com!